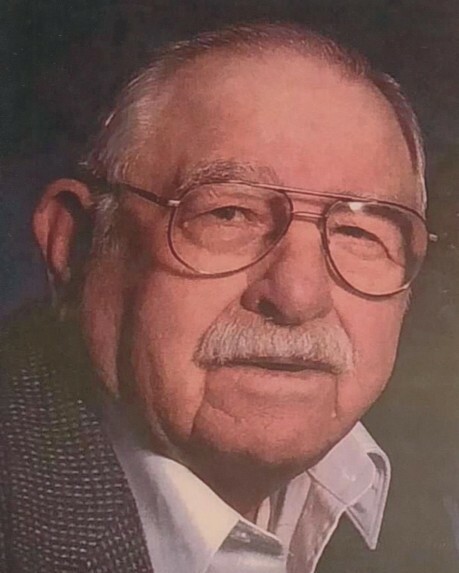 William (Bill) Larry Legerski went to be with the Lord on Friday, August 24, 2018. William was born on September 24, 1929 to John and Julia Legerski in Sheridan, WY. He grew up on the family ranch in Big Horn, WY. After high school he joined the Marines and served overseas during the Korean War where he was awarded the Purple Heart. After being discharged in 1954, he returned to Casper, WY and worked at the refinery and also owned and operated gravel trucks. He met the love of his life, Helen Marie McCabe, while in Casper, WY and they married in 1955. They them moved from Casper to Sheridan, WY in 1958. Marie and Bill farmed and ranched in the Sheridan area from 1958 to 1994. Thereafter they moved to Wheatland, WY and continued to farm and ranch until retiring in 2009. He was a member of the VFW and the Moose Lodge. William is survived by four children, Sharon (Clay) Gillespie of Sheridan, Gary (Pattie) Legerski of Los Fresnos, TX, Brad Legerski of Sheridan, and Mike (Kirstie) Legerski of Huntsville, TX; brothers, Walt (Mary Jane) Legerski of Sheridan, Lois (Sandy) Legerski of North Platte, NE; 4 grandchildren, Gail (Ben) Cummins, April (Sam) Bloom, Sophia and Gabrielle Legerski; 6 great grandchildren, Luke, Lilly, Channah, Kobie, Brandon and Nate; numerous nieces and nephews. William was preceded in death by his wife, Helen Marie Legerski, his parents, brothers, Joe, John, Rudy, Eddie, Andy and sisters, Alma Kilmarx, Mary Haratyk, and Julia Yasozkai. Graveside services only will be held at the Wheatland Cemetery in Wheatland, WY, on Saturday, September 8, 2018 at 11:00 A.M. A reception will follow at VFW Lodge also in Wheatland, WY. Honorary Pallbearers will be family members Ricky Legerski, Dayle Legerski, Bobby Legerski, Dave Legerski, Raymie Legerski, Jimmy Legerski, Larry Legerski, Kevin Legerski, Floyd Legerski, Randy Legerski, Ron Surratt, Jeff Johns, Ronnie Legerski, Eugene Legerski, Richard Legerski, Charles Legerski, Donny Legerski, Danny Legerski, Mikey Haratyk and Robby Kilmarx. In lieu of flowers the family request that those desiring to do so may make a donation to Sunshine Haven, Inc., 7105 West Lakeside Blvd., Olmito, TX 78575. The family would like to extend special thanks to the Sunshine Haven Staff for all their love, care and support.